I have had the Anna Maria Horner Art Student Tote pattern for over a year now and finally got around to make it last week. My sister was having a birthday and I had been wanting to make her a bag for a few months now so it was the perfect time to try out the pattern. I loved it! It was really straightforward and nothing too complicated. 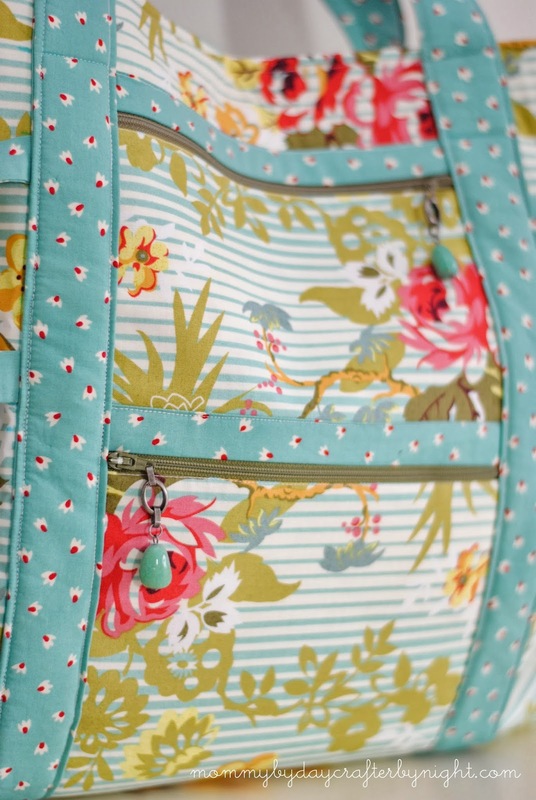 I dug into my stash and used one of my all-time favorite prints: Hello Luscious Blissful in Fashionista and paired it with another great print from my stash for the straps: Sophie Blue Fiesta Petal. 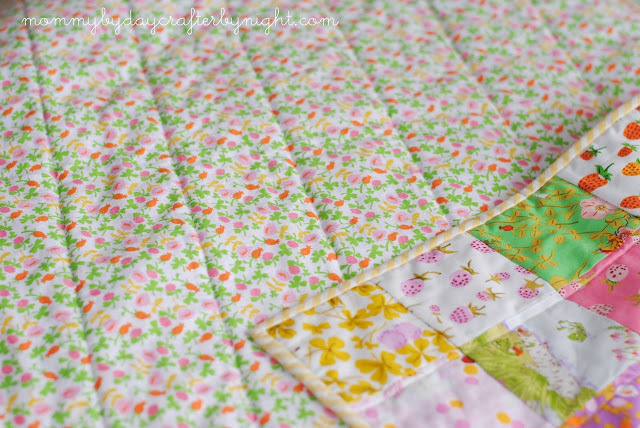 I also used some fabric from my stash for the interior: Strawberry Fields Summer Picnic in Vanilla. I love the combination of fabrics... They really remind me of my sister so it was perfect for her bag! This bag is massive! I made version A which is the middle size of the three options available in the pattern. 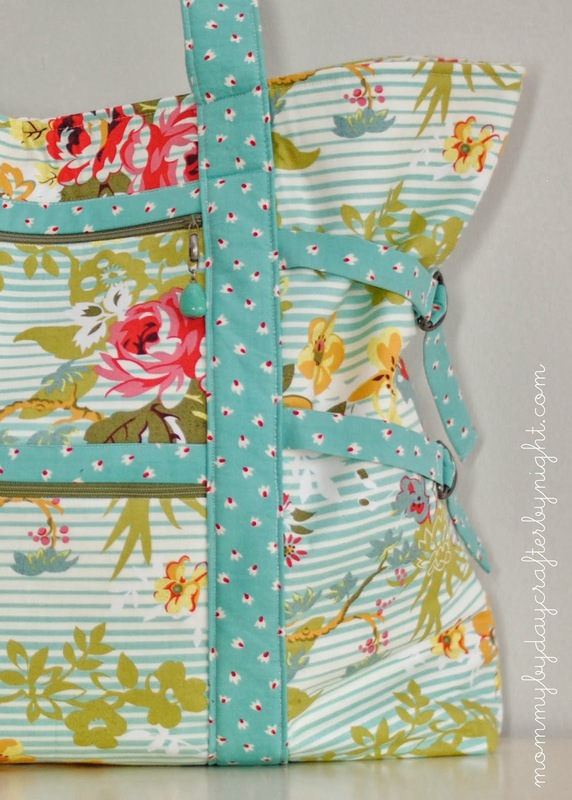 I love that the sides can cinch in when the bag isn't super full but be let out when it needs to be filled to the brim. When I came across this pattern a couple years ago I totally fell in love with Stephanie's version and knew that my bag needed some fancy zipper pulls too. I got a cheap pair of earrings from Hobby Lobby and worked them over a bit to get them to work as zipper pulls. 1. 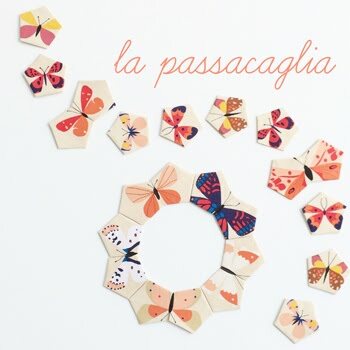 This is actually something I wish I would have done.... All of the pattern pieces are rectangle, so I wish I would have noticed that before I actually started cutting out my pattern page- I wish I would have just measured the pieces and then cut them to be exact with a rotary cutter. 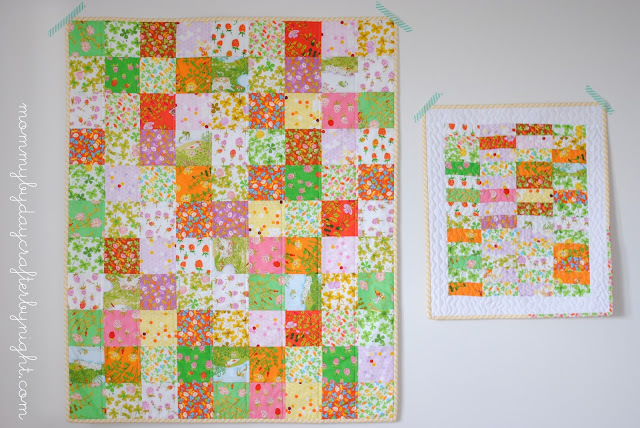 I ended up having to square up my pieces after using the pattern and free handing with scissors- so it would have saved a lot of time if I had just done it all with my rotary cutter. 2. I used fabric from my stash so I don't know exactly how much fabric I used, but I do know that I used less than the pattern called for. Especially for the straps... so if you do use a rotary cutter to cut your pieces out, you could probably get away with using less fabric. 5. I made the zippers on the outer pockets go in opposite directions instead of the same direction and I think it adds a bit more interest to the zippers... 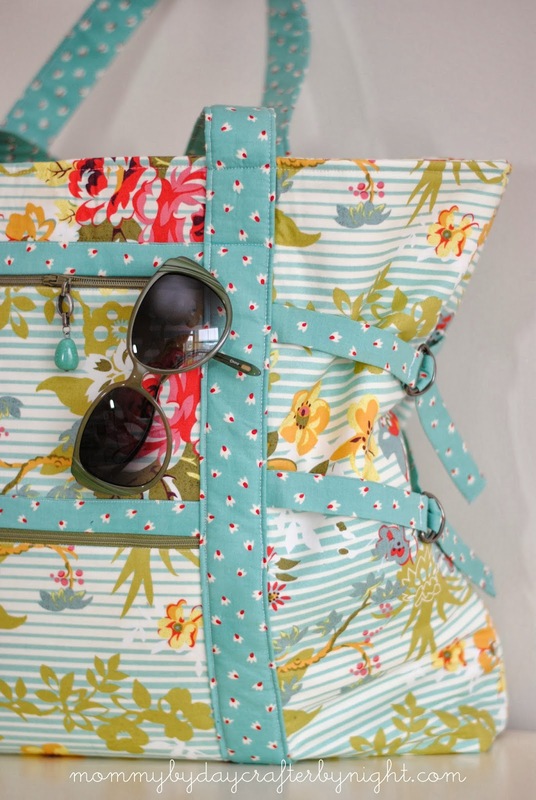 Especially with the zipper pulls on them. 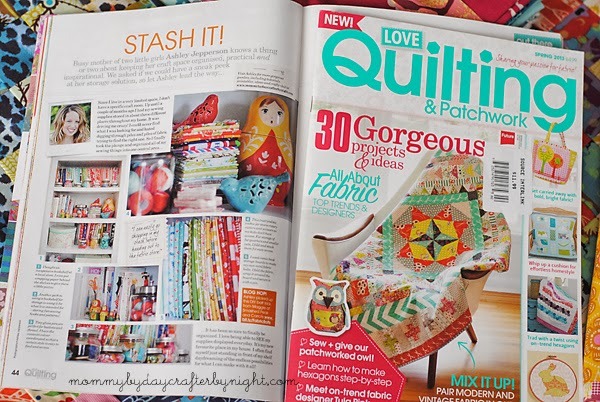 If you are a regular reader of my blog you may remember back a few months when I talked about a really fun new magazine from the UK that I had the opportunity of being featured in... Love, Patchwork and Quilting (they've kinda flipped the name around since the first issue). 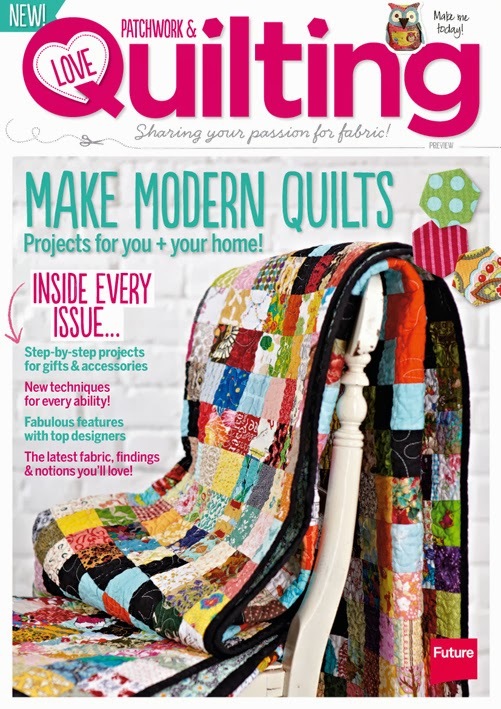 The magazine is made by Mollie Makes (another really darling magazine) and each issue has been full of awesome projects, fabrics, ideas, and pretty pictures to drool over. I love it! Since both issues of the magazine have been so successful they have decided to make it a monthly subscription! Yay! 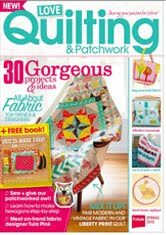 Love Patchwork & Quilting is for anyone who loves modern quilting, whether you’re already an avid fan or someone who wants to learn. 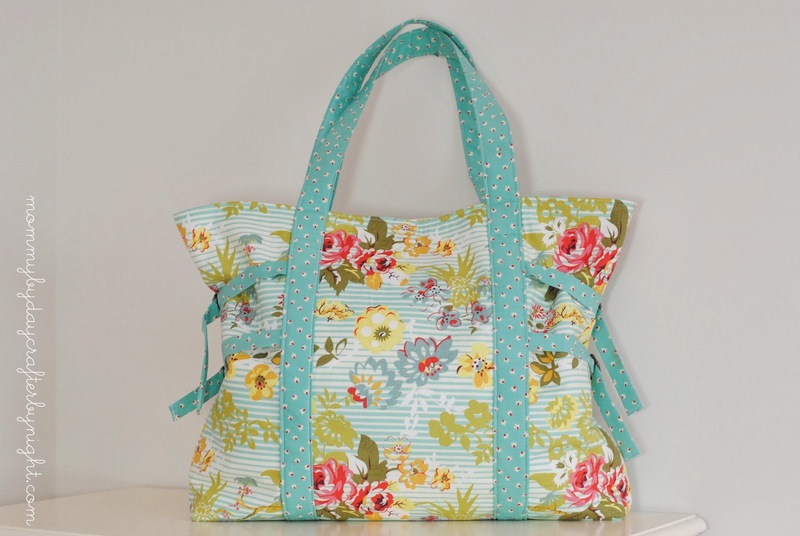 Sharing your passion for fabric, we show you how to transform material into the most gorgeous handmade items! 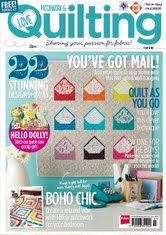 With every issue you’ll receive a FREE gift to spark your creativity before you even look inside! 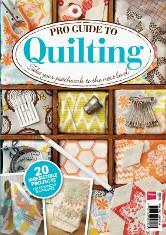 The first issue of Love, Patchwork and quilting goes on sale October 16th, but you can pre-order your copy now. For US subscribers it ends up being about $8 per magazine (which isn't bad since I bought my 1st copy at B&N for $11.99 and had to look in every store around town before I could find a copy) but there is a special going for US subscribers to get 3 issues for $10!! Here is the link.) If you subscribe by September 27th, your subscription will start with issue 1. I am so excited to receive the new issue! I am always so inspired when I read the magazine. Remember the Marcelle Medallion that was on the cover of the issue I was featured in... 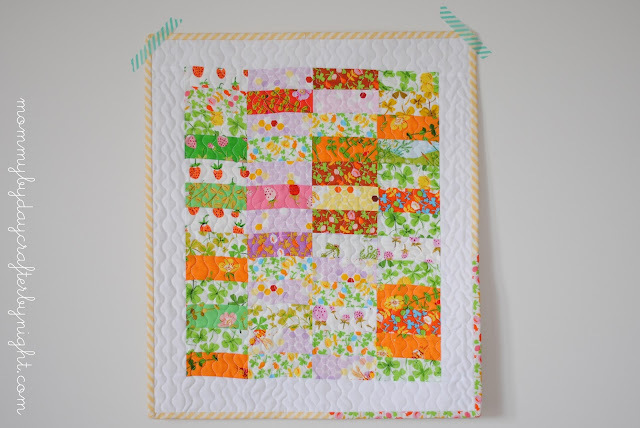 Sparked an instagram quilt along! So much fun! Be sure to stop by Love, Patchwork and Quiltings facebook page and follow along so you can keep up with the happenings and giveaways that are going on now! One of the things I love most about working with fabric is all of the endless colors, patterns, and possibilities. 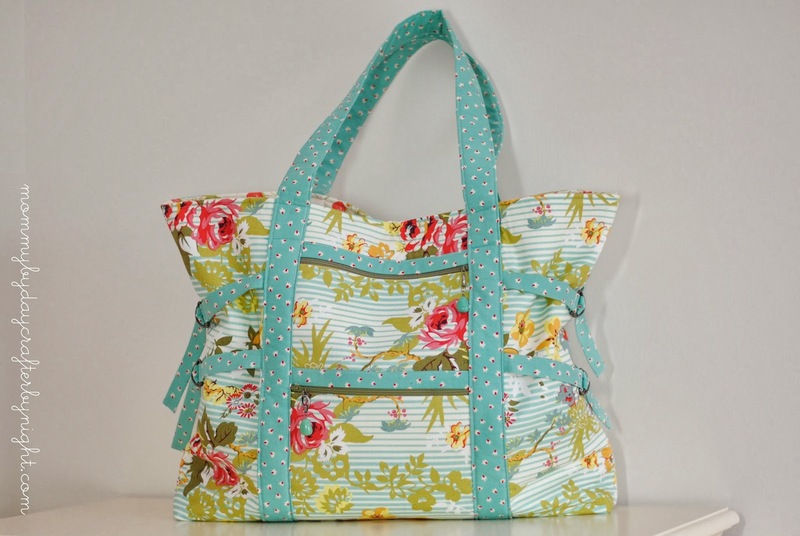 Since I only started sewing a couple years ago I am definitely new to the designer fabric world. 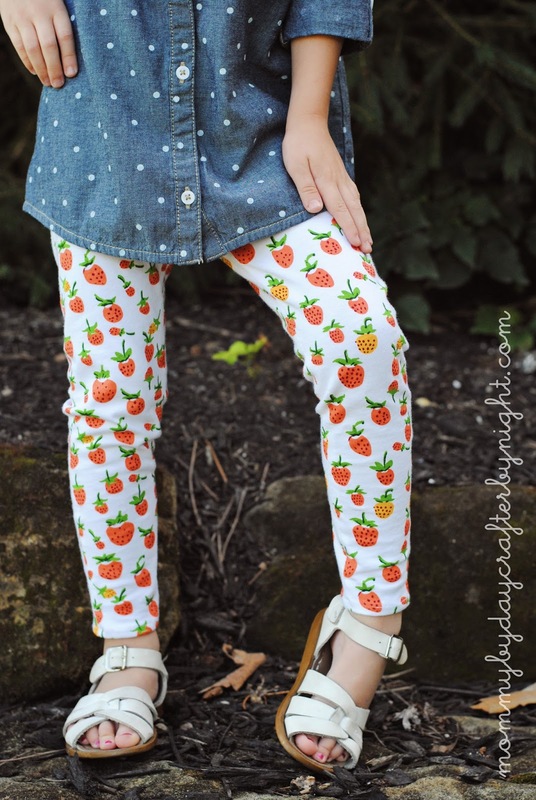 There have been a few times that I have come across fabric lines that were printed and sold a few year ago before I even knew they existed that I have been so bummed I missed out on! (Mainly the Good Folks line by AMH- but... luckily I have gotten my hands 9 of the prints from that collection that were still lying around a quilt shop off the beaten path). 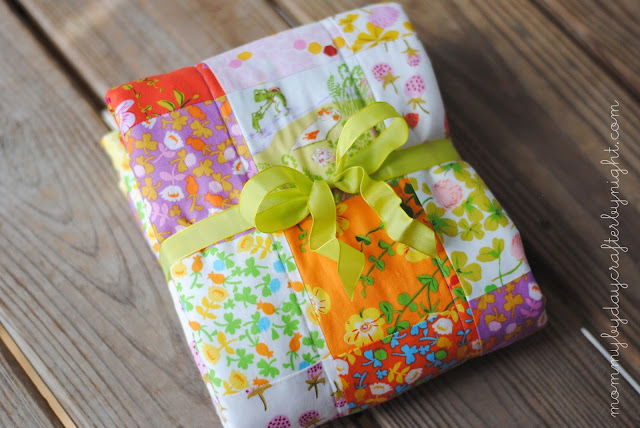 One of the fabric designers that I have fallen in love with is Heather Ross... 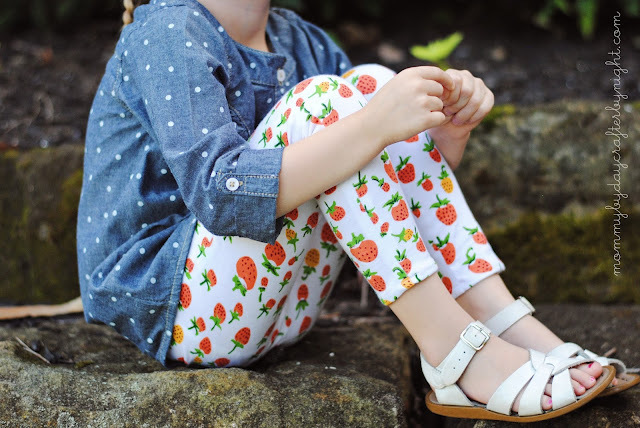 I love all of her past fabric lines that are oh so cute and sadly out of print and not available to me now. 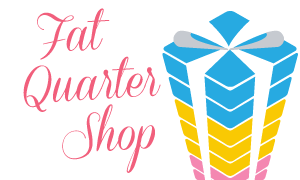 So when I saw she had a new line coming out, and printed on quilting cottons no less, I pre-ordered a fat quarter bundle and felt so happy to finally be in on the Heather Ross action! While in the midst of contemplating quilt backing, this gorgeous Briar Rose knit showed up on my doorstep from The Fabric Fairy... Lightbulb moment! My very favorite baby blankets that I have used on both of my babies have been blankets made with knit fabric. So I thought... "I wonder if it would work to use this knit as backing for this baby quilt?" IT WORKED! I am so happy with the result. The drape on the quilt is perfect. Not stiff at all and totally ready to swaddle a brand new baby! I did straight vertical lines about 3 1/2 inches apart to quilt it. It is very minimal, but since I was going for a "not stiff" quilt it worked great. It has such a great feel to it. 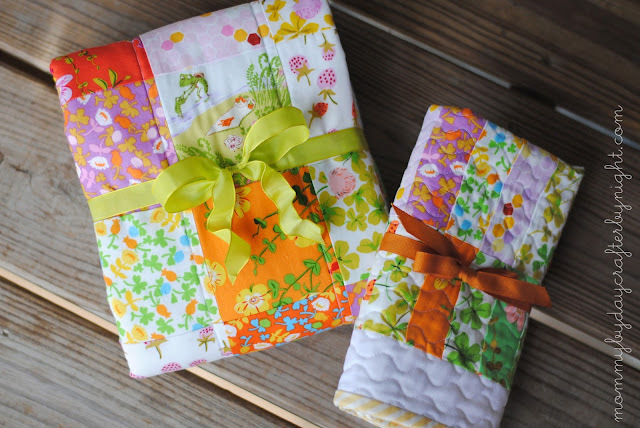 One thing that I have tried to do when gifting quilts to my friends, is make a matching quilt with the scraps for big sis or big brother to use for their doll or stuffed animal. My friend has a daughter that is becoming a big sis for the first time so I knew that a mini quilt for her doll would be perfect. Now she can take care of "her baby" just like mommy takes care of the new baby. 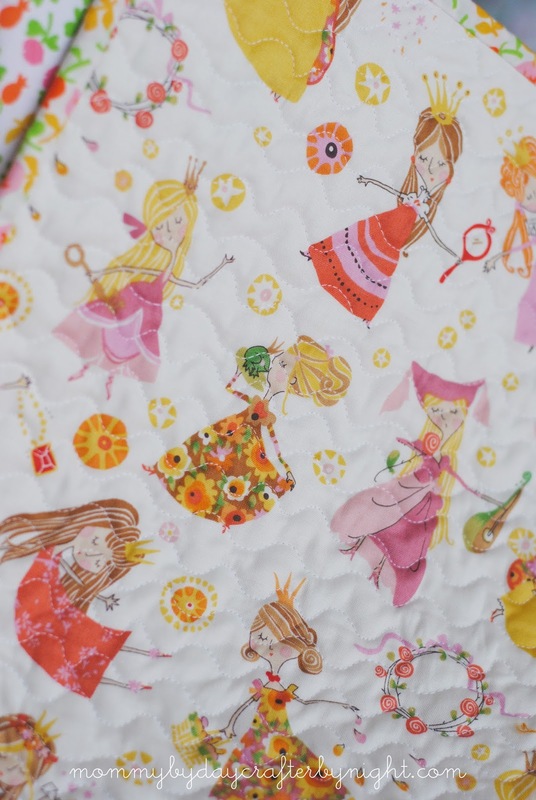 I backed it in the PERFECT quilt backing for a little princess... Fair Maidens...The colors matched perfectly and I love how the frogs in briar rose mixed with the princesses kissing the frogs on the back made for a "Princess and the Frog" dolly quilt. Perfect baby gift for mommy and big sis! 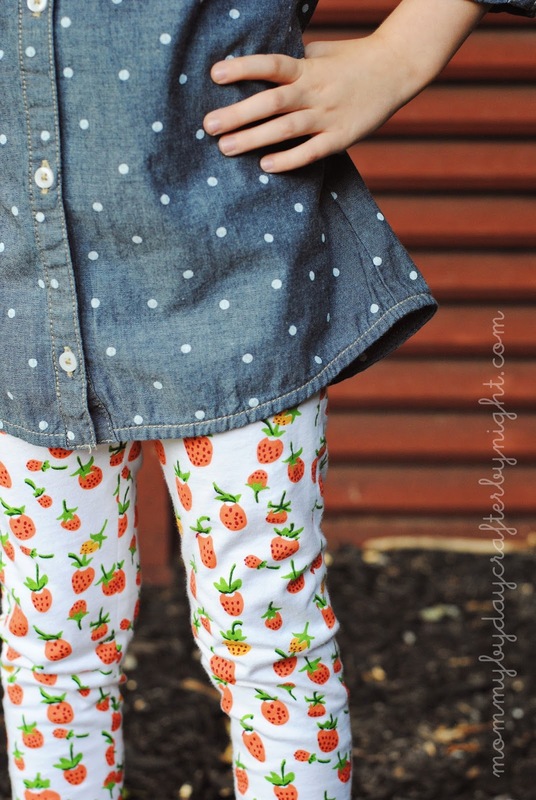 I used a pattern to make the leggings that I had on hand... they are the leggings that accompany the Sunki Dress. I loved working with this jersey knit. It is just darling and there are so many projects you could make with it. Heather Ross offers a free pattern to make leggings- I just used the sunki leggings since I had the pattern already printed out. 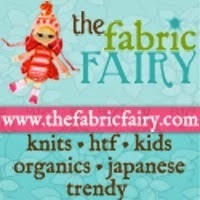 I have one other project that I am working on with the knit Fabric Fairy sent me... I am super excited with how it is turning out! I can't wait to share it with you! 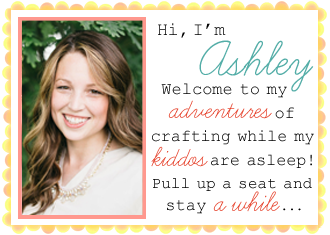 I am not usually one for posting stories without a project involved, but I had quite the serger escapade today and just for my sanity and venting I thought I would share! About 2 years ago I decided that I needed a serger. I was making clothes for my kiddos and myself and zig zagging my seam allowances just wasn't looking as professional as I dreamed my garments could look. So I went on the search for the perfect serger for me... Affordable and easy to use. I decided on the Brother 1034d. I mentioned to my husband that I would like a serger. Being the supportive hubby that he always is, he said he was on board- BUT, I had to wait until my birthday... 6 months away. Ok... fast forward 6 months. The long awaited time had come. Except... I spent my birthday in Utah at my little brothers funeral. My serger sat on my front porch, left by the UPS man. Thoughts of sergers were no where in my mind at that point. When I came home from the funeral, my cute hubby presented the serger to me- excited to see my reaction. I tried to act excited and be graceous about it but life (and everything I had just gone through) was feeling overwhelming and the thought of trying to be adventurous and brave to learn something new was just too much for me. The next day while my hubby was at school, I shoved it in the closet and shut the door without a second glance. The sad little serger stayed in the closet untouched and unopened for a year and a half. I thought of it often but it was like it was a monster in the closet that I tried to avoid. For some reason I couldn't bring myself to get it out and figure out how to work the stupid thing. This last year and a half since my brother's suicide have been interesting. I have learned a lot about myself and how I really can do hard things with the Lord's help, but at the exact same time it has changed me so much that I look in the mirror and feel like the "old me" is long gone and things will never be the same. So I think the serger just kinda represented the past and happier times in my life. 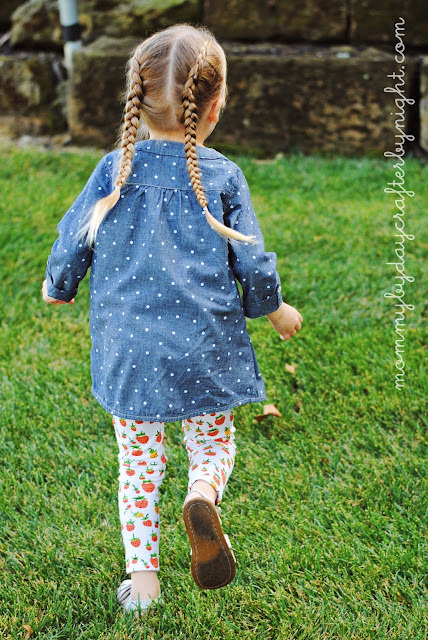 I have been too busy dwelling on what used to be that I couldn't focus on what was now and here and move forward. Today I woke up and decided I needed to change something. I opened the closet door and dug out the serger determined to figure it out. I opened the box.. all the while, my two little cuties were fascinated, trying to figure out what had been in the closet all this time. There it was... Scaring the crap out of me! But I put it up on the kitchen table and opened the instructions. I found an awesome video on YouTube that made threading my machine a breeze. 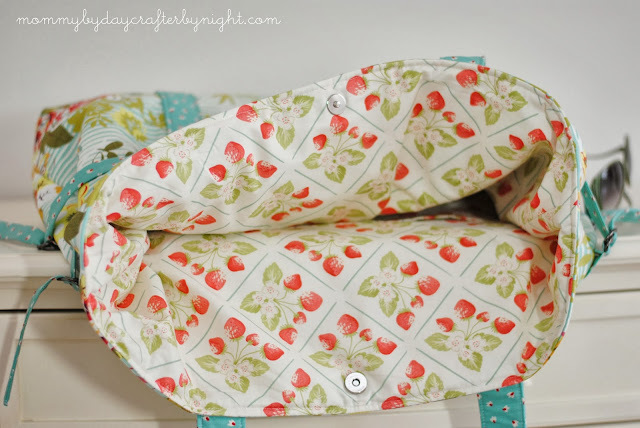 I took a few practice runs on some scraps of fabric to get my tension right and to make sure I had threaded it correctly and then I felt good enough to try it out on the project I was working on. First seam... Perfect... What in the world was everyone talking about? This serger thing was a lot easier than I had expected. 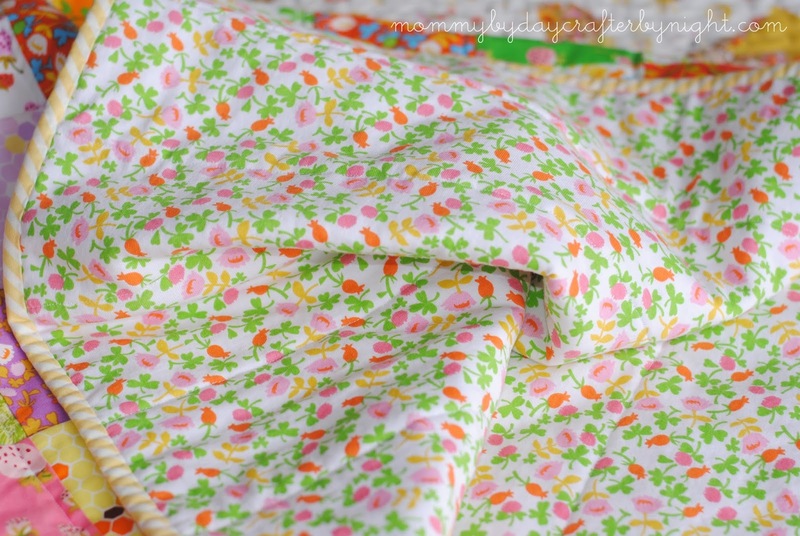 I was conquering the "Serger Monster" from my closet! I had been using some straight pins. Now- I know anyone that has used a serger is totally cringing right now- because when you sew with a serger you can't sew over pins like you can get away with when you use a regular machine. 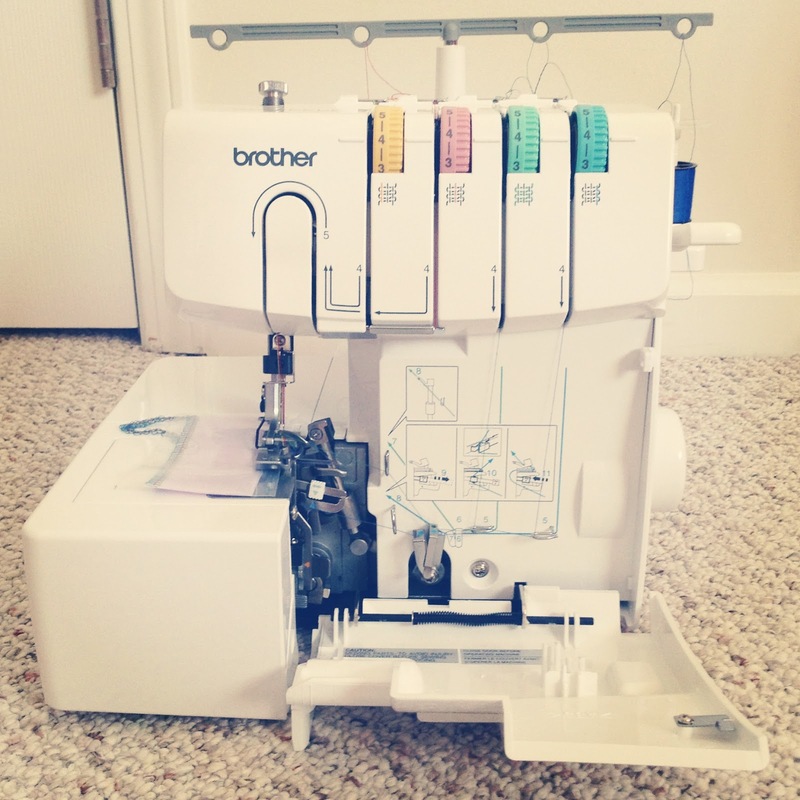 A serger has a cutting blade that trims your fabric as you go and pins are not allowed through the blades! Now, I am not a total dimwit! I was being a responsible "sergist" (totally making that word up) and I was just using my pins to slightly control the knit fabric I was working with, but I was taking the pins out with plenty of time before the fabric entered the cutter... the pins were just my security blanket to make sure I lining up my seams as it went through. But- as I have learned today... You CANNOT do two things at once while using a serger... I was looking at my freshly finished seam to make sure the tension was still looking good and "CRACK"... next thing I know, the upper blade of the serger is flying straight up in the air just as I look down to see that I had missed a pin. I could not believe it! I was so mad at myself! Seriously... busting my serger within 10 minutes of using it!?! What the heck? Why couldn't the stupid pin have just broken in half? Was this a bad omen on my serger? Feeling defeated and pretty dumb, I called around to some local repair shops and tried to find the replacement blade- totally hoping (with my "I need to finish this project now" mentality) that I could zip across town and find a part to fix it! But to no avail! I headed online and ordered the replacement part... $24 smackaroos this little incident cost me and my machine will be on bed rest for at least a week (depending on how long that part takes to get here). 1. Don't use pins ever again when using my serger! 2. Stay humble. Just when you think you have it all figured out... you go busting your upper blade on your serger and see that you have no idea what in the heck you are doing! 3. Sometimes ya hit a road bump and it knocks ya outta whack, but that doesn't mean you can't dust yourself off and keep truckin' along.